Thermoplastics are among the most widely used soft plastic materials in the market. Manufacturers around the world have recognized this material for its appeal to drivers and manufacturers alike. In transportation, thermoplastics can be readily found throughout the entire vehicle, both inside and out. TPEs are lightweight and durable, and often less expensive than materials they replace, making them increasingly desirable for manufacturers. Whether you’re looking for a material for an automobile instrument panel, an RV seal, a freight truck bumper, a power boat compartment seal, or snowmobile grips, start with TPEs from Star Thermoplastics. TPEs have a lot of advantages over traditional metal alloys in the automotive and transportation industries. One of its greatest competitive features is its ability to be shaped in ways that metals cannot, allowing for more imaginative designs. Further, TPEs have an attractive weight to performance ratio which allows for lighter vehicles and designs leading to improved pass mileage and decreased environmental impact. In transportation, TPEs can be found everywhere. 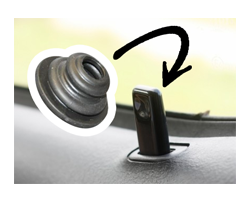 These flexible plastics can be made in a wide range of rigidity and softness which makes them a viable choice for instrument panels and buttons, encapsulation seals, cup holders, gaskets, bushings and cables, among countless other components. Read more about Star Thermoplastics’ solution when another firm fails to met spec. TPEs are ideal for car mats. 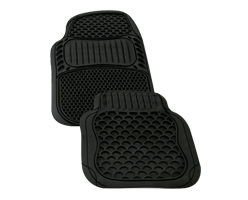 Given their soft and malleable nature, along with their durability, car mats made of TPE will endure all the mud, snow and dirt you can get on them, and then be easily cleaned. Looking for high-flow TPE materials to shorten your cycle time and maximize your production? Contact Star Thermoplastics today! Given TPE’s flexibility, resistance to wear, and ability to handle harsh conditions, it’s no surprise that many electrical systems use this versatile material for cable casings. 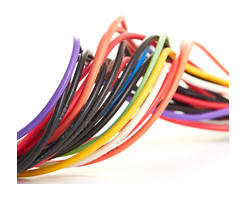 Not limited to only the automotive industry, you can find thermoplastic cables any place that wires are used.